Red Valve Pinch Valves saw their first service in the mining industry, and are commonly specified for the most demanding applications found in mining operations. Here we see a 20" Series 70 Open Frame Manual Pinch Valve installed on a pipeline that carries rock tailings from the ore processing plant. 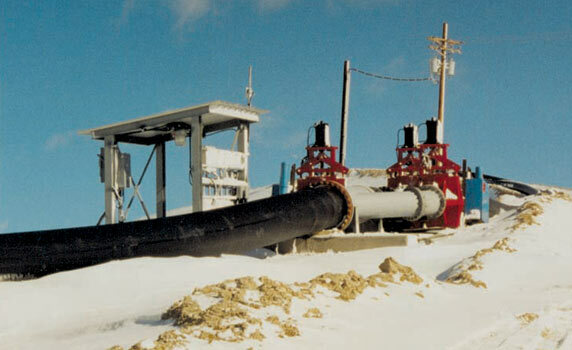 The valve's open-frame design makes it lightweight and enables the operator to tell at a glance the valve's position. Red Valve Manual Pinch Valves with abrasion-resistant elastomer sleeves are ideally suited to this harsh work. Solid rock particles easily pass through the Pinch Valve's 100% full port elastomer sleeve, the valve's only wetted part.